ColdZone offers several evaporator defrost controls for walk-in coolers and freezers for a wide variety of refrigeration applications. 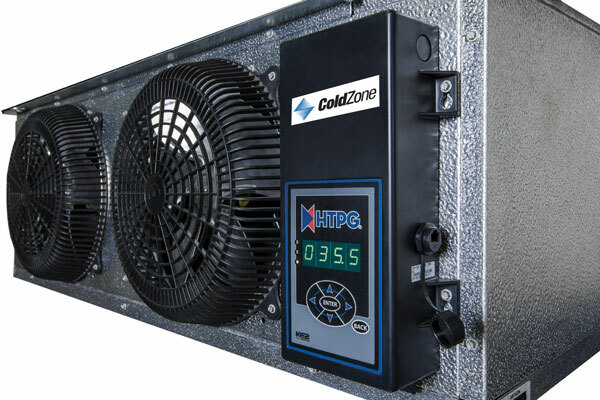 ColdZone’s EcoNet® Enabled Unit Coolers are intelligent, electronically operated evaporators designed for energy efficiency and easier installation. Developed in conjunction with Rheem Manufacturing, it builds on the success, reliability and efficiency of Rheem’s EcoNet® technology and brings it to the commercial refrigeration market for energy savings, consistent temperature, and improved product quality. The smart EcoNet Command Center with intuitive touchscreen allows for single or multiple EcoNet Enabled Unit Coolers to be programmed, monitored, and troubleshot outside of the space being cooled. The Surveillant Demand Defrost Evaporator Controller uses proprietary advanced algorithms to maximize energy efficiency while minimizing the effects of defrost on the space temperature. The Surveillant controller easily integrates with Energy Management Systems.